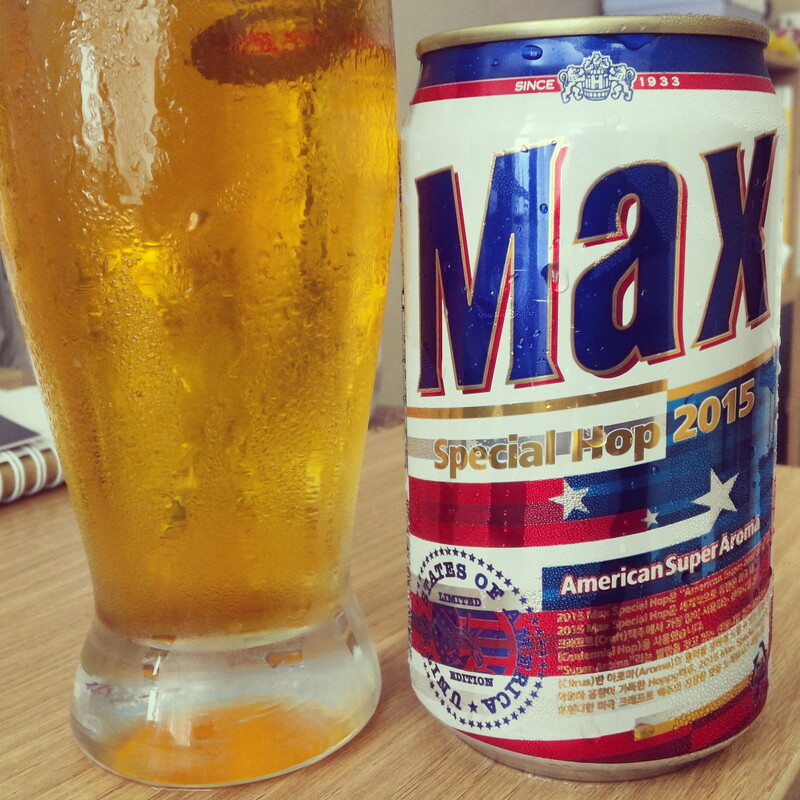 Thoughts: Firstly this beer is slightly more expensive but also (in our opinion) nicer than the regular Max Beer. 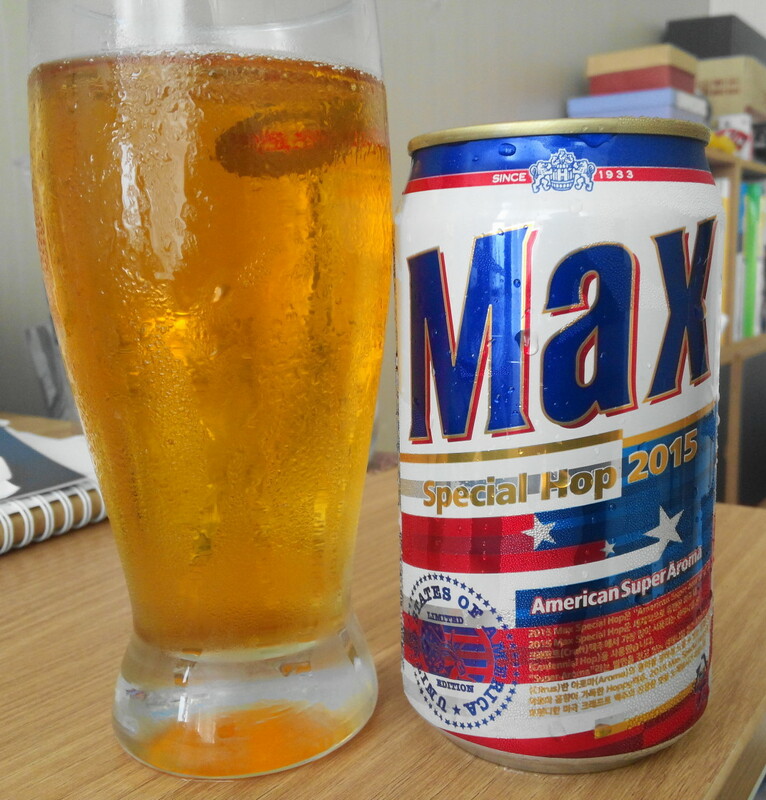 The taste is similar to an IPA or real ale, with slight fruity hints. 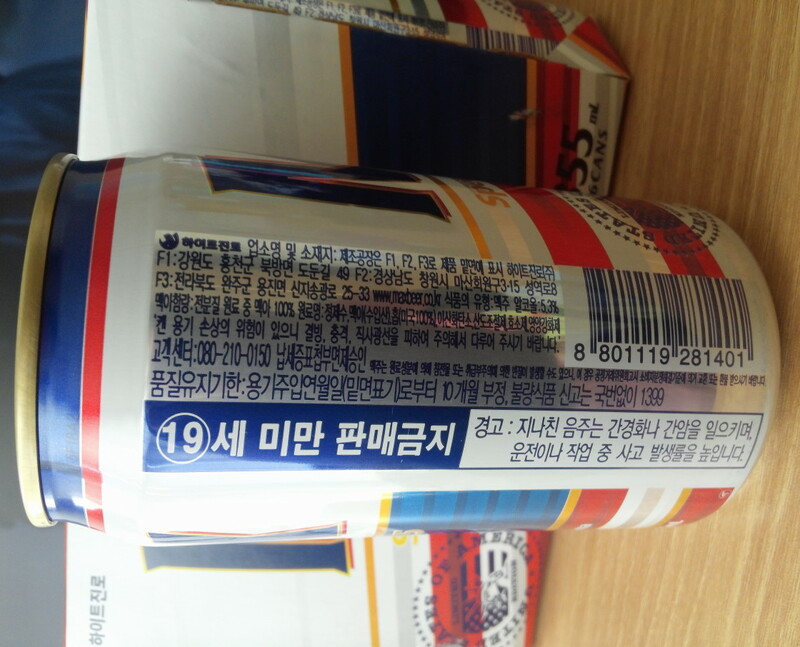 Secondly it’s different from the 2014 editions (details here) but it similar to the underrated Korean Beer Queen’s Ale. 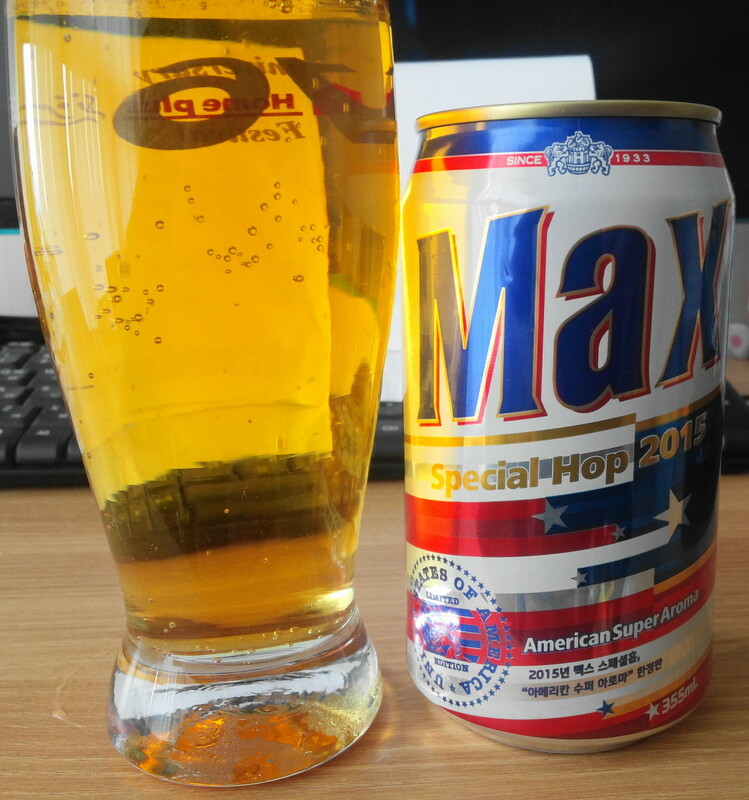 Finally it’s more of a spring or fall style beer as it a bit thicker and stronger, which we personally prefer but others might not. 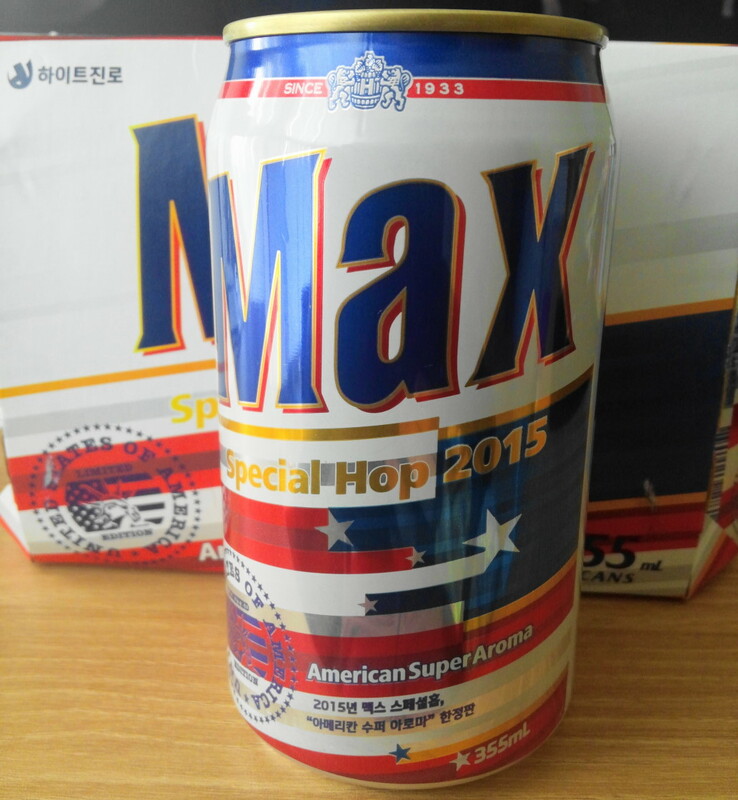 Both are still available now in most supermarkets here in South Korea and in either 355ml or 500ml cans. 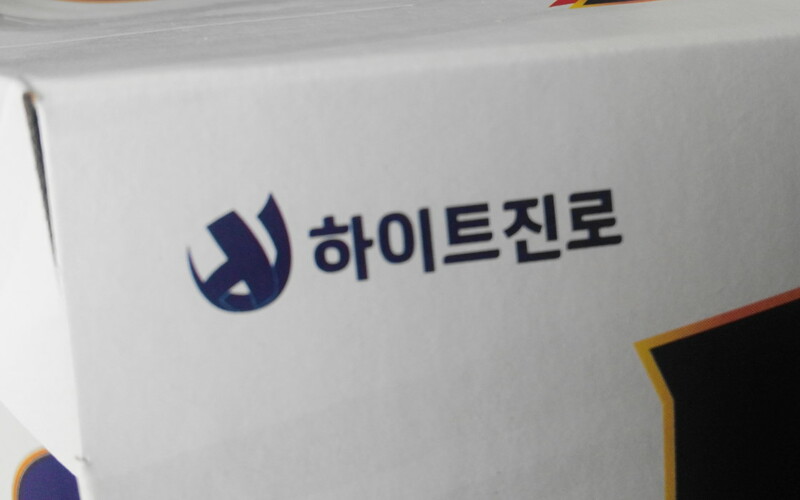 But maybe not for much longer so if you’re interested in trying it, buy it sooner rather than later. 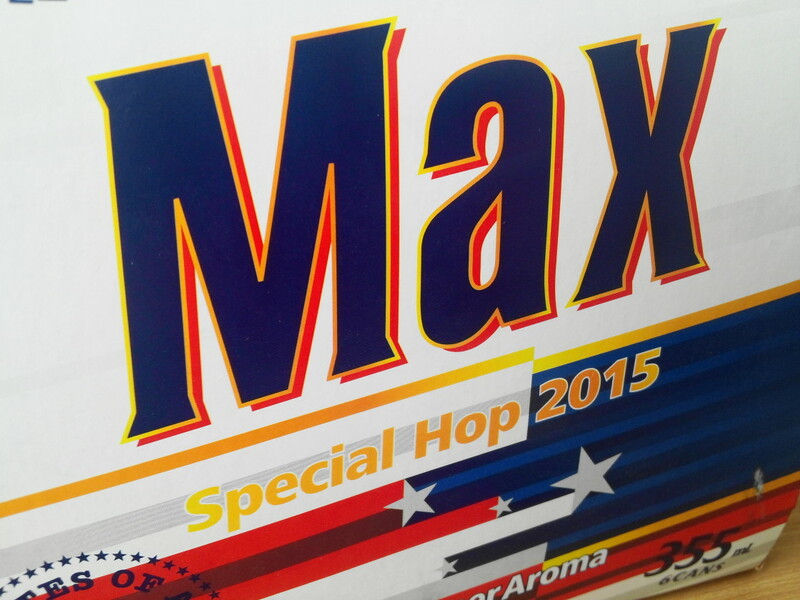 Also A year ago we guessed the 2015 edition would be a Dutch or Belgium version, and we’re keeping what that prediction for the 2016 Max Special Hop. 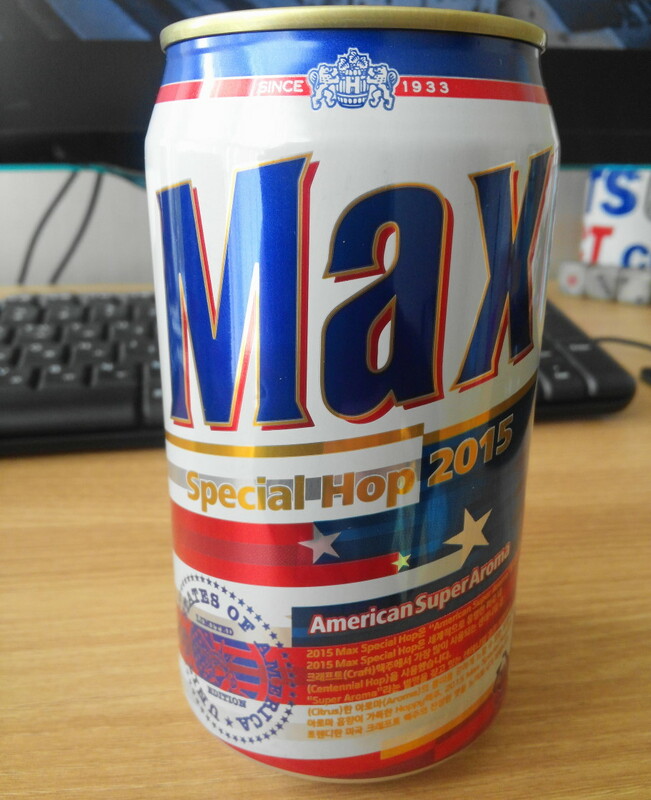 More Information on these Special Hop Beer can be found an the Official Max Beer Website CLICK HERE. 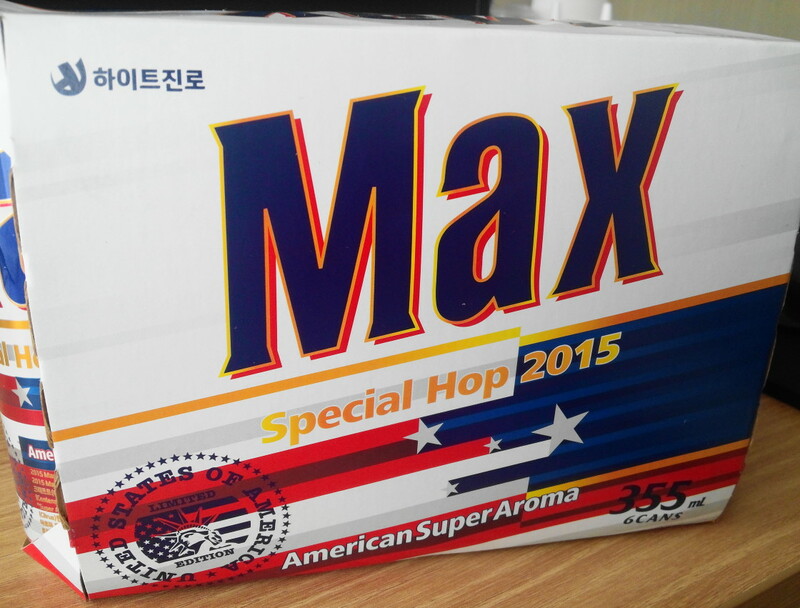 As always if you have any questions related to Max special hop beers or Beer in Korea in general please feel free to let us know. Either below, by Email or via Twitter or Facebook.